One relevant study that springs to mind is described by Luke Wroblewski in Inline Validation in Web Forms. 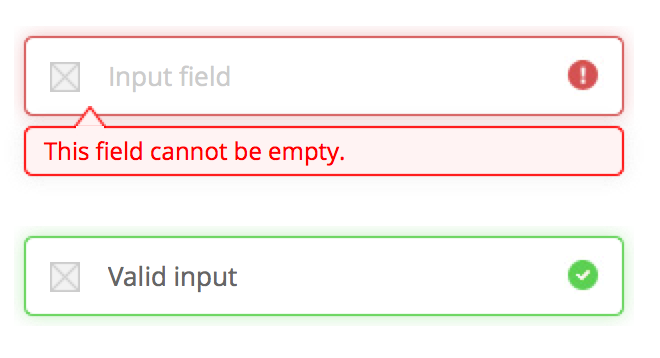 It found that validating inputs prematurely can be harmful and that validating fields after input helps users to complete forms more quickly and accurately. To better understand when to show inline validation messages, we tested a few variations in the top half of our form. When we used the “after” method in the first half of the form, participants completed the form seven to ten seconds faster than when we used the “while” and “before and while” methods respectively. The “before and while” method not only caused longer completion times, but also produced higher error rates and worse satisfaction ratings than the other inline validation variations we tested. For open-ended questions, give feedback after the user finishes providing an answer (on blur, when they move on to the next field). For questions that the user might need help with sooner (e.g. username and password fields), give feedback while they are typing but use an appropriate delay so that premature error messages don’t frustrate them. Show error messages before the user even started filling the form can be misleading since the user haven't started to fill the form yet. From what I've seen in common forms, the error messages appear usually when the system recognizes an error while the user try to submit. This can also be misleading, especially when there is a large form and the error occurred somewhere at the beginning of it. Therefore, I think that the best way is to show the error message of a field after focusing on it once and moving to the next one.